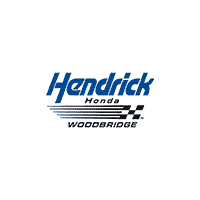 The Hendrick Honda Woodbridge finance department is focused on ensuring your experience with our dealership exceeds your highest expectations. Our friendly finance managers work with people from all over including Woodbridge, Dumfries, and Manassas to ensure our customers get the right finance program at the most competitive rates. We strive to work with each customer to ensure their satisfaction. We have financed customers from Stafford to Fredericksburg. Whether you are right down the road or an hour away from Woodbridge you can use our quick pre-approval form to qualify for one of our finance programs. Additionally, we provide you with a payment calculator to estimate your buying power and monthly payments and an available Hendrick Certified warranty. The Hendrick Honda Woodbridge loan process can help you find the best interest rate for your next vehicle purchase. Try our free credit application today! We have hundreds of new and used Honda vehicles for immediate delivery and access to some of the lowest interest rates in the business. *Rates subject to change. Please see dealer for up-to-date rates. Due to our special arrangements with local and national lenders, we can help you get the new or used vehicle you deserve. Whether your past credit is near perfect or not so perfect, we can help! Complete our FREE credit application and our team of finance professionals will begin working to get you the best rate possible. We have hundreds of Honda vehicles currently available for immediate delivery. Are you new to this country? Have you been turned down before? We can help. We have programs to help you get into a car and rebuild your credit. We are able to overcome most credit problems. To get started, fill out our free credit application online. Once the application is completed, the Hendrick Honda Woodbridge finance team will put together a loan package that is tailored specifically for you.